These provocative essays consider what man collectively could and should be doing to improve communications. In "From Criticism to Creation," Professor Richards discusses the importance of perfecting the means whereby men can understand better what they read and hear. From there he proceeds to "The Technological Crisis," which sketches some of the consequences of technological advances. In "Computer-Conveyed Instruction" he looks at the resistances and obstructions which may hinder the use of these new powers. "Some Glances at Current Linguistics" examines questions about language raised by the use of computers. "Meanings Anew" attempts to restore semantics to its due dominance in language control. "The Future of Poetry" explores how utterance can defend itself from misconception. The separation of mistakes from acceptable differences in interpretation is viewed in "Variant Readings and Misreading." Miscomprehension and distortion arising from antagonisms between Chinese and Western traditions are discussed in "Mencius Through the Looking-Glass" and "Sources of Conflict." "Toward a World English" suggests solutions to man's urgent problems in this area, "inquiries and developments," the author says, "that-if pushed with a tenth of the energy now being devoted to space projects-might help with our presently mind-numbing situation." The essays that follow will be found to be -- from different angles for different audiences -- converging treatments of a common theme: what man collectively could be doing for himself and what in this he should be doing first. Little explicit reference is made to how he is, as yet, using his vast new powers, so recently acquired and so swiftly growing. Some threatening sides of these developments are being recognized and despaired of. The hopeful possibilities, the great practicable steps, receive less attention. It is toward construction that the reflections here encouraged turn. This final essay offers the proposals to which the previous essays have led. The chief premise is that every possible means should be tried to avoid the too probable outcomes of current courses. Among these means, the opportunities opened by a major world-wide demand for a common auxiliary language should no longer be neglected. And among these opportunities is the feasibility of so teaching English that new levels of mental capacity are induced. No doubt many if not most aspirants to effective English see it as a ladder to relative wealth and prestige. Many of those promoting English see it, no doubt, in terms of commercial profit. No matter. If the presentation is well enough designed what is presented will take over -- to the development of those concepts, and sentiments: methodic, economic, moral, political, on which the continuance of man's venture depends. We of the West have somehow -- out of a strangely unself-regardful, indeed a regardless, impulse of benevolence -- committed ourselves to universal education as well as to universal participation in government, nominal only though this last can be. We have been selling this program for man -- in which the gaps between the meanings and the actualities are everywhere horrendous -- as though it could be in itself a cure-all. But is it not plain that this incalculable venture, as noble as it is perilous, cannot possibly succeed without such a liberation of human capacity and good will as few but Shelleyans have imagined? The alternative is chaos on a scale which will compel the sacrifice of very much more than ideals. Such is the frame of reference within which the following essay looks back to proposals, made over a third of a century ago, for a common-sense instrument with which to work for a common-world education. No doubt we can see now, as the proposer of Basic English hardly could, that an auxiliary world language will have to be (as with the automobile and the airplane) a developing design, redesigned as performance data indicate. But since no more significant model for a World Auxiliary has appeared or seems to be on the stocks, I have put my points in terms of probable successors to Basic English. It may be that the obstructions of which earlier pages have spoken at perhaps too much length will prevent their development. But, at least, an awakening plan for helping with what matters most will have been put forward again. 240 Governments today have a far harder task than any of their predecessors: the problems that come to them are far more complex and the outcomes of their decisions carry risks not known before. This grim reason1 for a great immediate attempt to improve world-wide intellectual communications can speak for itself. If it is not to be listened to, words here will not help. At present -- whatever may happen later -- the task of serving as an elucidatory world auxiliary, of helping more people to understand themselves and others more clearly, falls upon some form of English. Why not say simply "upon English"? The question goes to the heart of the need. There are any number of highly proficient speakers of English who understand themselves and others very little. No adaptation of English, of course, no restriction, no special design, regimen or discipline can ensure discernment, can automatically secure understanding. Nonetheless there are means, in the mode of acquisition and cultivation of English and in the appraisals induced through its discriminations, which can increase the probability of clear, self-corrigible comprehension. The possibility of devising a restricted form of English (an expanding series of restricted forms rather) effective toward this aim depends upon a remarkable fact. A relatively small selection from its vast vocabulary is capable of representing the rest, of saying -- not perfectly, of course, but still to an extraordinary degree -- what the rest can say. This selection, this language within a language, can thus serve as a sort of caretaker, an inspectorate, a maintenance, repair and remedial staff, able to examine, criticize, deputize and demonstrate where needed: in brief be a control upon the rest. And not a control merely over its lexical performance, the efficiency of its vocabulary in use, the choice, justice and comprehensibility of its terms. The possible control covers the implications, the requirements and exclusions mentioned in preceding essays. This capacity of a small segment of the language to exercise such a wide and deep supervision over the rest is the ground for believing that an effective heightening in men's ability to understand one another can -- given an adequate attempt -- be brought about. No one, it is to be hoped, will suppose that this can be a light and easy undertaking. The devising of the means of cultivating and refining the work of this caretaker, this instrument of reflection,2 will call for high, devoted, open-minded and many-sided ability, much new design, experimentation and redesign. But the tools for much of this, with the development of the computer, are at hand. What is needed, if they are to be usefully set to work, is searching and imaginative consideration of purposes and principles. It would be well to be as clear as we may be about what is needed and what can be done before we get caught up in finding the people, spending the money, and in promoting the schemes. The demonstration of the existence and of the extraordinary powers of this caretaker core of English was the work of C. K. Ogden, inventor of Basic English. My awn part in its design ended early -- very soon after we had noticed, in some joint work on Definition, that a comparatively few words were doing most of the work whatever the word being defined might happen to be. The body of words which together are capable of defining all the rest in all their senses3 would be a brief formula for what I have been calling the caretaker selection. The essential comparisons between things we might say, and between different ways of saying what we call "the same thing", are not, of course, necessarily made through these words; but if we come to discussion of such comparisons, distinguishing and relating the meanings we are comparing, then these words, we will find, can do most of the job. Cultivation of our use of these words, increase of our skill, our resource, clarity, discrimination, flexibility and common sense in the handling of them, is thus the readiest way of improving our understanding of meanings. Ogden's Basic English was in several ways both more and less than a proposal for the cultivation of these words. It was to be an all-purpose auxiliary language suited for Business, Administrative, Scientific, Instructional and Commercial uses.4 It was also to be an adequate channel through which the world's great literature -- the Bible, Homer, Plato, Mencius, Shakespeare, Tolstoy -- could be presented to all peoples whether they had a literature of their own or not. It was to carry news, gossip, social exchanges, including what Ogden's friend Malinowski called "Phatic Communion." It had, moreover, to be learned as quickly as possible, both as a medium that might be for many learners enough in itself for their needs and as a stage on their way to whatever more English their interests and activities called for. These last considerations, together with what I may describe as the promotional aspects, had a deep influence on the form Ogden finally gave it. So too had his highly original views on the nature of the verb, theories developed largely from his regard for Jeremy Bentham. Economy in learning effort, compactness of presentation, the separation of the "functional" from the "content" words5 -- these three converged to recommend to him the format of the celebrated "Basic English Word List," with its nine columns : the 100 Operation Words, the 600 Things (400 General and 200 Pictured), the 100 Qualities and the 50 Opposites. Ogden had an attachment to this presentation, "a list able to be printed on one side of a bit of business notepaper" which perhaps reflected the prolonged pains of coming to his decision about it. Once established and promulgated, its layout, those shapely round figures, the absence of room, the compression of the rules . . . these things gave a rigidity to the system it might otherwise have escaped. On the other hand there can be no doubt of the Word List's success in gaining attention. There may well be lessons to be learned. One of them Ogden pointed out himself in the remark that if an English-speaking user kept within 90 per cent of pure Basic that would be good enough.6 It seems likely that proposals toward restricted languages for whatever purposes will do well to adopt such a tentative, relaxed and tolerant posture. There are perhaps other lessons. It is a disturbing if a salutary thought that those who have paid much attention to language should so often be conspicuously unable to understand or be understood by those who have done likewise. Bacon, in a charitable mood, observes that "The true atheist is he whose hands are cauterized by holy things." It is hard to see why linguists so often have to behave so. It should be mentioned, however, because it belongs, alas, to the elementary strategic considerations of those who will have to try to improve communications between peoples. What Churchill's and Roosevelt's experiences were with Basic English is mentioned in "Computer-Conveyed Instruction." Its reception by professional linguists was naturally mixed. Some few saw it for what it was, commended it but felt it was all a little remote, their awareness then of the human situation being average. Others, as soon as it became a "movement," grew hostile. I tried to tell Ogden that "movements" in such matters get nowhere; but that did not help him. And then soon after Churchill and Roosevelt had given Basic English their push, there developed a series of misrepresentations : accounts of it from "specialists" who had not read Ogden's expositions, charges from people who did not know (and could not see) which words were on his Word List or not. Any good graduate student will have little difficulty in finding and exhibiting these failures to be fair. He will learn useful things about human nature and the tactics of controversy. But the lesson can be learned without those details. There is a more important reason for mentioning these attacks. They can easily give quite false impressions of Basic English to designers who might learn from it much that would be valuable in their work. 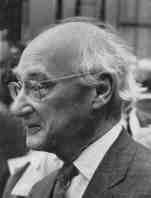 With the forthcoming reappearance of Ogden's own chief expositions enriched by his pioneer study in phrasal lexicology, The Basic Words, most of what is most relevant in his work to theory and practice in language restriction will be again available. No other restricted English has been tried out so variously and on such a scale. It will be useful then to offer a summary account of the aims and the design of Basic English as a preliminary to discussing some modifications which a rather long and varied experience with it has suggested. (1)	It was to be such that everything that anyone wishes to say might be said -- so far as the plain sense goes -- as clearly and explicitly in Basic as in Complete English. (2)	It was to be acceptable to the eyes and ears and minds of users of Complete English; to be a selection from Complete English allowing nothing in vocabulary, phrase-building or syntax contrary or foreign to what we often, somewhat obscurely, call the "genius" of English. (3) It was to be capable of being learned with the minimum of labor by speakers of other tongues, inducing Far Eastern and African tongues as well as those Indo-European tongues from which other proposed auxiliary languages (Esperanto, Ida, Novial, Interglossa, etc.) have chiefly drawn. (4) It was designed to give automatically as much insight into the structure and articulations of our meanings as could be contrived. As so stated all these aims need comment. (1) Plain sense . Basic can handle more than that, as the Bible in Basic English well shows. But it is, on the whole, at its best when it sticks to factual matters, Attempts to put the Gettysburg Address into Basic are only useful as a way of bringing out the merits of the original. Unfortunately, people often get attached to their versions. (2) Sentence by sentence this can be so. Long stretches of Basic inevitably grow monotonous and feel flat to an English speaker. But this is correspondingly an advantage to a learner of English. (3) Learners rarely, if ever, learn the whole of Basic, if by that we mean that they acquire a command of all the 850 words in their chief uses, and without picking up a lot of other English as well. Ordinarily they learn a certain amount -- what is in the texts or films through which they learn it -- and then branch out as their interests lead them. Most early discussion of Basic focused on readers' use of it. Not very many English speakers have become able to converse freely in pure Basic, though prepared speeches and technical talk can readily be managed by those who keep in practice. Learning to write in Basic is far easier. It is while doing so that its success in its fourth aim becomes prominent. Experience has shown that there is a general expectation that learning to write easily in Basic must be extremely difficult for users of Complete English. It has even been said that to learn Basic must be harder for those to whom Complete English is their native tongue than for foreigners. This, as was long ago demonstrated overwhelmingly by the experience of many, is simply a mistake. An English speaker can learn to write in Basic in a day. But, as in other kinds of learning, he must set about his work in the right way. If he merely takes the Basic Word List and attempts virtually to reinvent for himself the whole technique of its use, he is likely to be defeated and to become discouraged. Basic cannot be easily learned from the Word List or from a rapid perusal of a few specimens. But it can be both quickly and easily learned by a ready writer who takes The Basic Words and The ABC of Basic English (the books of the Rules) and works for a short while under their guidance. The principles underlying Basic (they are at the same time the technique of its use) are extremely simple. They derive from the observation that the number of ideas we actually use in explaining or defining any meaning is surprisingly small. Their exact number cannot be settled unless we first settle on how we are to count them. This is partly an arbitrary matter depending upon how we set up our scales of precision. But the important point is that our key general ideas are not many, though the rich variety of our vocabulary makes us suppose that they are innumerable. To take an analogy that is useful if not pressed too far, the chemist is prepared to give in terms of a very small number of elements an exact description of innumerable compounds for which any ordinary language would require an indefinitely large vocabulary. So Basic, with a small apparatus of terms, is prepared to give an account, as exact as circumstances require, precise enough for the purpose in hand, of innumerable meanings for which Complete English has its immense resources. The parallel with chemistry must not be taken too far; the second aim of Basic, listed above, prevents it from being a purely logical analytic notation. It is a good thing that this is so, for very much work, of the kind which led to Basic, would have to be done before a universal logical language of the kind that Leibniz dreamed of could be created. It is no longer, however, out of sight. But its uses would be by no means similar to those of Basic. It would require, for example, much more knowledge and intellectual energy in its users than a world auxiliary language can possibly call upon -- at any rate during the next few centuries. Basic is in fact a partially analytic language adjusted to the level of experience and intelligence that already exists and is available in its users. The larger part of its Word List consists of names (camera, card, neck, reading, doubt, for example) which are not ultimates of analysis. With enough ingenuity we could always replace them by descriptions in terms of an irreducible minimum of words, descriptions which would better show the ingredients and the structure of the meanings these names carry. But these descriptions would as a rule be very inconvenient. They would often be long and clumsy, and would not do the work in the practical affairs of the world for which Basic is designed. Nonetheless the briefness of the Basic Word List and the comprehensiveness of its covering power derive entirely from an analytic principle of the language, used though it is with discretion. No other word list, which does not employ the same analytic method, has any chance of being of the same service. The interval in efficiency between Basic and other "simplified English" word lists (of which many have been proposed) is too wide to be bridged -- unless they become Basic in essentials themselves. This analytic descriptive principle, on which the powers of Basic both as an auxiliary international language and as an instrument in education depend, is a technical innovation in the deliberate control of language. What it makes possible could not be done without it -- any more than an airplane could fly the Atlantic without the theoretical engineering behind its design. It is important, therefore, to keep the theoretical aspects in mind. Basic, whenever it needs to, uses a description of a thing or event in place of the name of the thing or event which Complete English would use. It can give a description because it has in its Word List names for the chief ingredients which are required in such descriptions as well as an adequate apparatus for putting them together in any way that is required. A learner of Basic very soon discovers that he has not one but a number of alternative ways of saying anything he wishes to say in Basic. It is thus unnecessarily powerful, redundant in its resources, as a medium of expression; but the advantages of this for its general purposes, social as well as logical, are very great. It gains a suppleness which allows it to take note of factors in the situation which are not being explicitly mentioned; it follows its parent, Complete English, in being a language in which two speakers need not, unless they wish to, always use the same phrases. Stylistic differences between different writers of Basic are, in fact, surprisingly marked. Basic, furthermore, is like every other language; there is good and bad Basic writing, a point it is well to remember in studying specimens of Basic. Judges who are not familiar with it are apt to treat any Basic passage they come across as though it must represent the only possible Basic version of the thought. But this is a mistake; we do not consider that a backward schoolboy's essay shows that Complete English is a poor language! The close relation of Basic to Complete English -- that of a part to a whole without any change of essential nature between them -- gives it its opportunities. It is, however, also the ground of a very frequently expressed doubt or fear : the doubt, namely, whether a foreign learner of Basic can go on to learn Complete English, whether Basic may not become an obstacle to the learning of Complete English and, further, whether the learning of Basic in schools in English-speaking countries might not tend to a corruption of Complete English. This grim reason : There are those, of course, who say that the more understanding rises and spreads, the greater will be the world's danger, and perhaps we all may have moment when these voices seem to be speaking in our hearts. It was to ventilate these sorts of treason that the discussion of "the empires of the future" was included in "Meanings Anew." In brief, his new poets have made traditional man, of any of the major cultures, too dangerous. He is no longer viable. We need a new model capable of global organization and equipped to handle current and oncoming tensions. instrument of reflections : "'And man became a living soul." He did not merely possess it, he became it. It was his proper being, his truest self, the man in the man. . . . Nothing is wanted but the eye, which is the light of this house, the light which is the eye of this soul. This seeing light, this enlightening eye, is Reflection. It is more, indeed, than is usually meant by that word; but it is what a Christian ought to mean by it, and to know too, whence it first came, and still continues to come--of what light even this light is but a reflection.' Coleridge, Aids to Reflection, Aphorism IX, in my The Portable Coleridge (New York, Viking Press, 1950), p. 395.
all the rest in all their senses : The dawn of this dream for Leibniz is thus described (c.1679) by him, as having in his early youth been "scratched down on paper to be laid before my astonished teachers. "Upon making the effort to study this more intently, I necessarily arrived at this remarkable th6ught, namely that a kind of alphabet of human thoughts can be worked out and that everything can be discovered and judged by comparison of the letters of this alphabet and an analysis of the words made from them. This discovery gave me great joy, though it was childish, of course, for I had not grasped the true importance of the matter." "On the General Characteristic," G. W. Liebniz, Philosophical Papers and Letters, Leroy E. Loemker, Ed., Vol. 1, p. 342 (Chicago, University of Chicago Press, 1956). Commercial uses : Ogden's own acrostic read "British, American, Scientific, International, Commercial." separation of the "Functional" from the "content" words : On this see English Word Lists : A Study of Their Adaptability for Instruction, prepared fro the Committee on Modern Languages of the American Council on Education, by Charles C. Fries with the cooperation of A. Aileen Traver, 1940, especially Chapter VIII, "Notes on Seven English Word Lists." For a critique of these authors' discussion see Basic English and Its Uses, by I. A. Richards, Routledge, 1943. "The separation of the 'operators' from the rest of the vocabulary as is done in Basic English seems to us," they remark, "a fundamentally important contribution to the solution of this problem of teaching a foreign language" (p.89). "To classify the verb as an 'operator' and therefore to use only a minimum number of verbs in a first vocabulary list seems not only theoretically sound but helpful from a practical point of view" (p 90). The impact of Ogden's Word List on all such work is well shown in their Table I (p 74). Basic English : International Second Language, by C. K. Ogden, edited by E.C.Graham (Harcourt, Brace & World, 1968), includes his Basic English , The ABC of Basic English , and The Basic Words. Dr. Graham's Basic Dictionary of Science (New York, MacMillan, 1966), published in England as, The Science Dictionary in Basic English , and The General Basic Dictionary are invaluable resources in work with restricted forms of English. Last updated May 20, 2002.